Size: each of the 5 panels is 178x127mm or 7x5inches when assembled. Oh what great family fun! 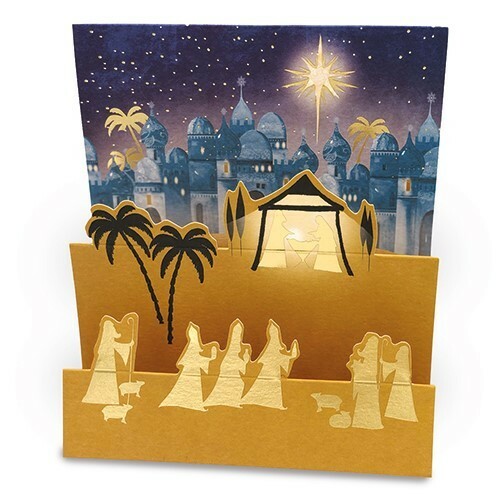 ‘Make your own’ Christmas Peep Show card. Each card designs comes with 5 die-cut scene cards and side panels. You need to construct the card into your own masterpiece. All you need is a little glue! 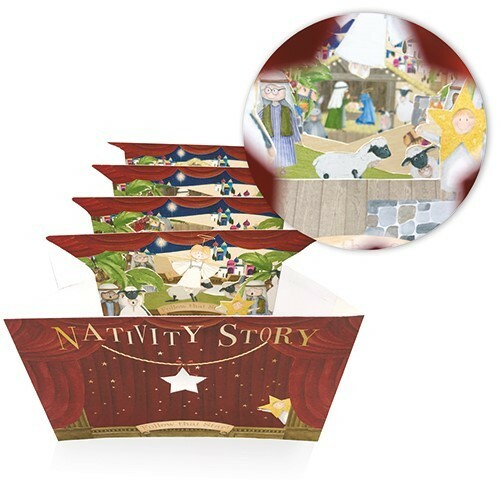 Choose from Northlands (Santa’s home) or the Nativity Story OR buy both! 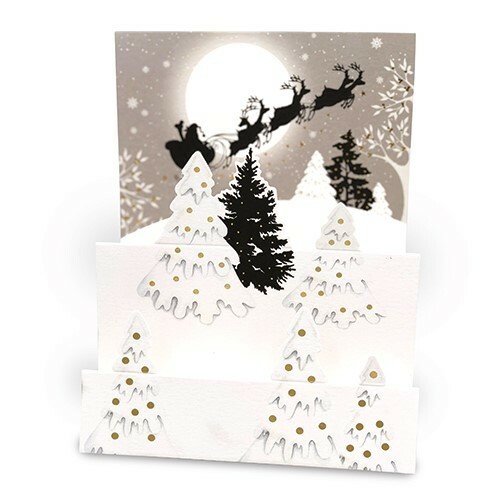 Delightful pop out Christmas card featuring Rudolph. 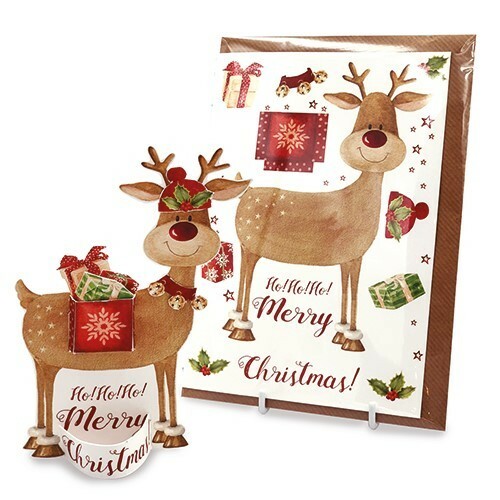 Just pop out (no cutting) and assemble Rudolph and fill his basket full of present. 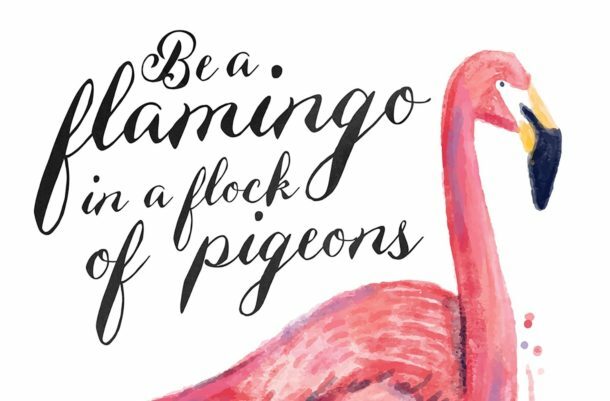 What fun is this wonderful new Christmas card design from Flamingo Paperie for December 2018? 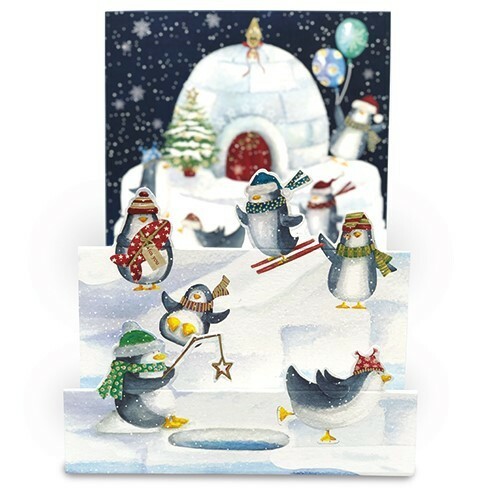 Buy 10 or more cards (at £2 pricepoint) and save 20% – choose from 100’s of greeting card designs including more Christmas designs. 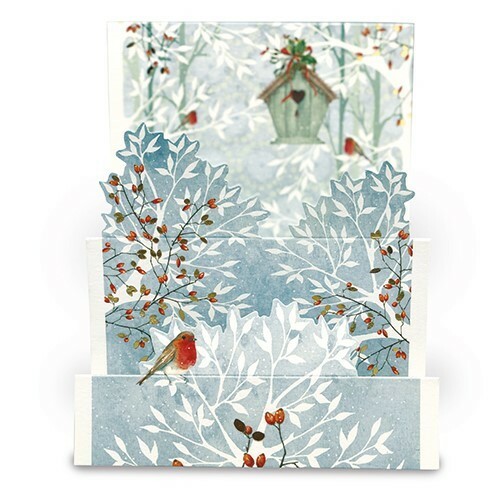 Need somewhere to hang all those Christmas cards? 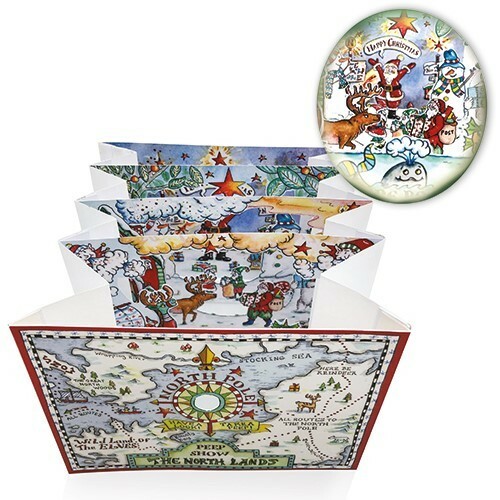 Two new designs of Christmas card holder: Robins or Santa? 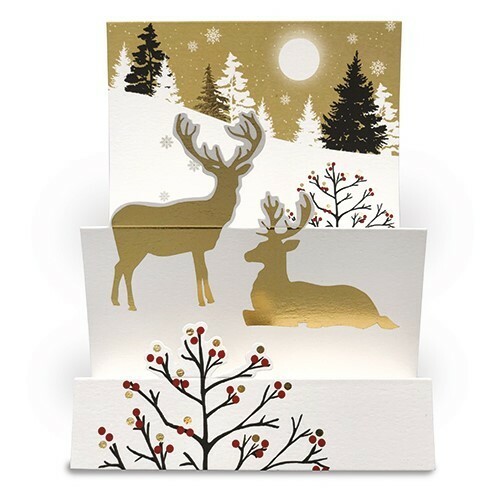 Each holder can hold 10 cards – click to view range of designs new for December 2018 ad browse rest of the current range. NB FREE delivery on all orders before the end of December for UK deliveries. 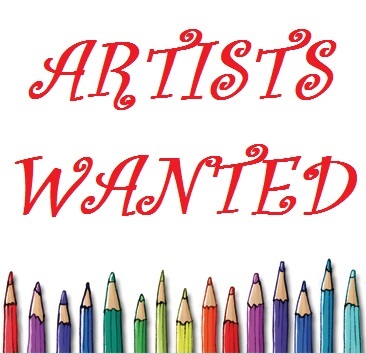 For Australia, New Zealand or France pleased contact me for details of one of my International team members.